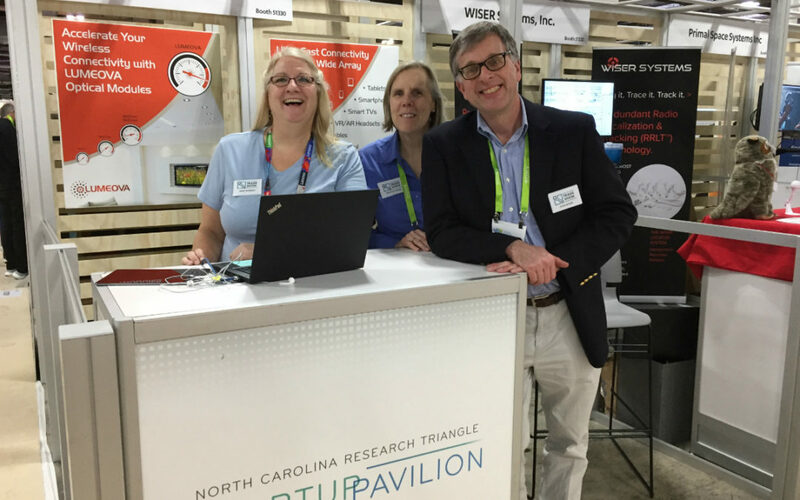 The Trade Show Manager team recently returned from CES 2018 (Consumer Electronics Show), where we had the pleasure of supporting a group of incredible startups in the NC Research Triangle Startup Pavilion. 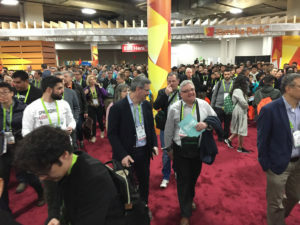 But more importantly – what makes CES truly amazing is that the show has become a global meeting place where technology leaders, innovation entrepreneurs, investors and the media come together for four days to meet, see the latest technological innovations, identify potential partners and network. Coca-Cola, Ford, General Motors, Google, Honda, Husqvarna, Intel, Kohler, Microsoft, Netflix, Samsung, and Toyota were only a few of the 450+ companies and individuals that visited our NC exhibitors – coming from more than 30 countries and nearly every state in the US and Canadian province – we can truly say that the world came to NC at CES. 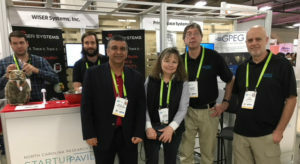 As the Pavilion organizer and sponsor, The Trade Show Manager was able to create the opportunity for our exhibitors not only to attend CES but to engage on a deeper level by providing a Social Media Ambassador and support staff to capture leads. We’ll share more on that in a future post.